Whoa I Just Found A Secret "infamous" Item! Is this common at all? Edited by Jack Bomber Alt, 01 January 2018 - 10:20 PM. That's not infamous. Or secret, for that matter. 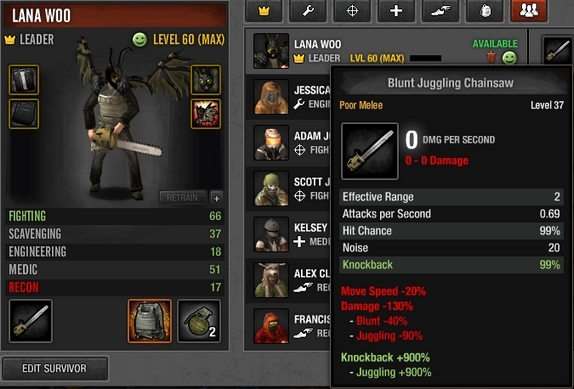 To answer your question: Juggling chainsaws are somewhat uncommon, but not really valuable. Some of us keep them as a curiosity, but it doesn't go beyond that. Edited by Lana Woo, 02 January 2018 - 12:40 AM. I was just joking, but I never seen one before and never ntoiced the stats till now. That "Buck" mask and that chainsaw are actually my favorite items.